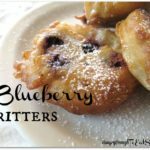 A tantalizing and sweet breakfast or dessert treat! The bread puddings I’ve tried in the past have been too sodden. I know that the point of bread puddings is that stale chunks of bread soak up liquid, but when it feels like bread has just been sitting in liquid and has turned to mush… that is not a texture I care for. 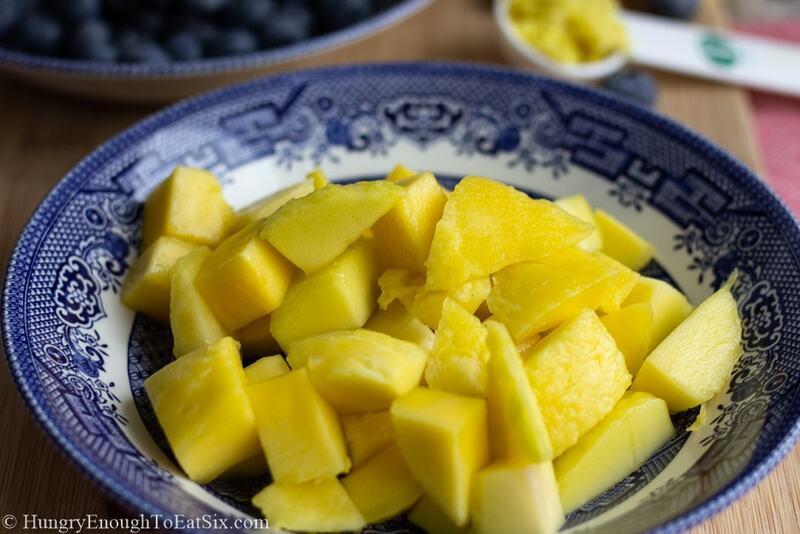 I also wanted this dish to be filled with fresh fruit – I went with blueberries and diced mango. By the way, has everyone seen this trick for removing the peel from a mango? 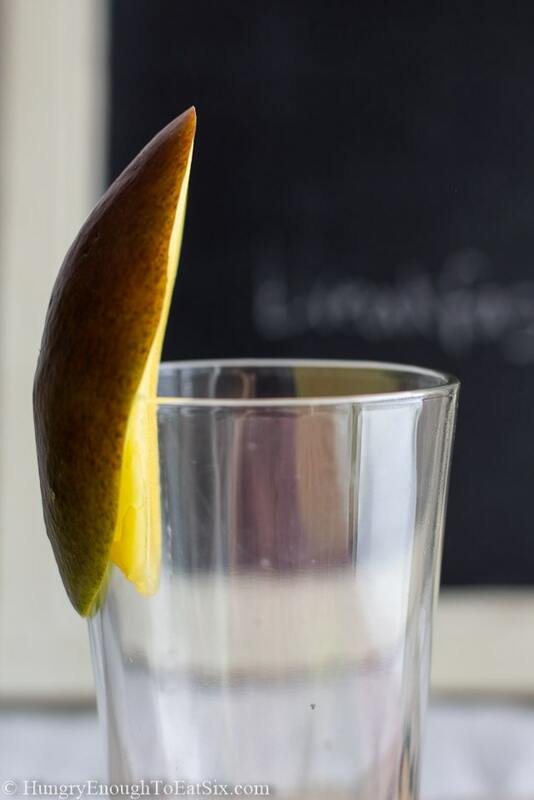 Slice the two halves away from the tough center core, then push the halves down on the rim of a glass. It’s really quick and easy! 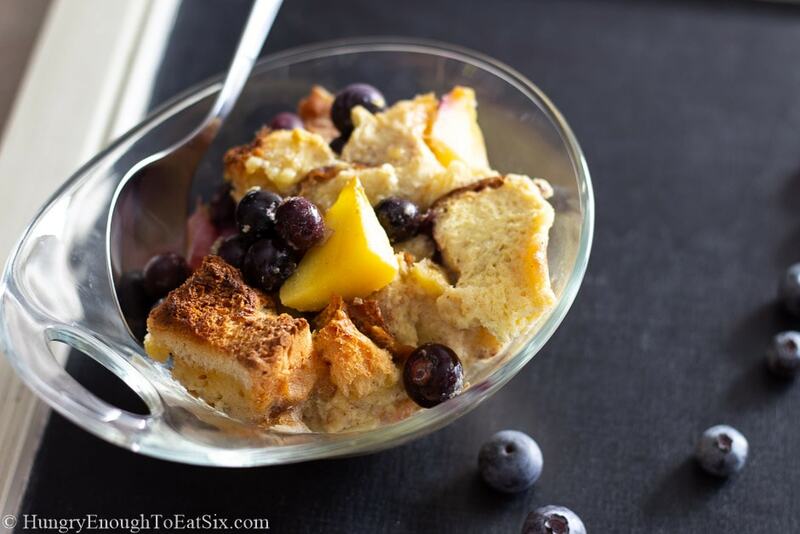 The bread in this bread pudding is toasted chunks of sweet bread. In my first batch I sliced up a loaf of Portuguese sweet bread, and in the next batch I used a loaf of challah. Brioche would be a great choice too – any enriched bread with some sweetness will do the trick! Toasting the bread pieces first means that the bread will absorb the liquid but will hold its shape – it won’t be too soggy or fall apart. 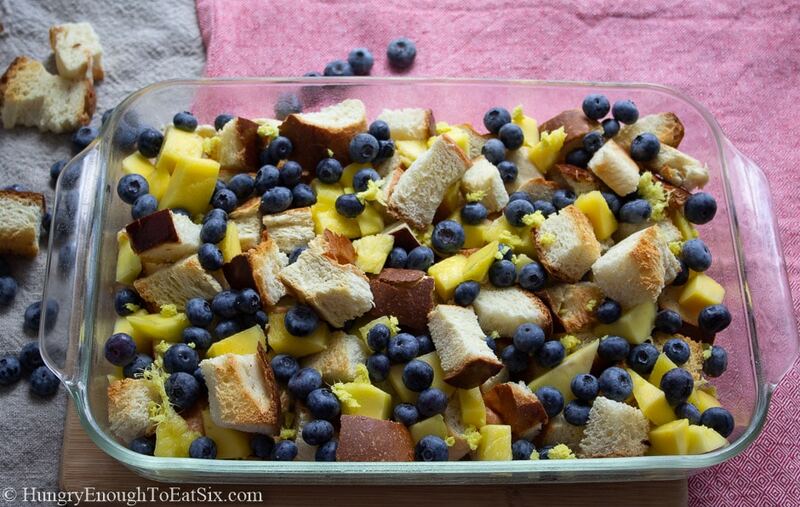 I lifted chunks of bread to hide pieces of mango and the blueberries. Not obsessively so… it really didn’t take too long! Just enough to ensure bites of both fruits would be had in every spoonful. There are flecks of freshly grated ginger in there, too! Then I poured the sweetened and spiced liquid over everything, and the scents of cinnamon, cream, mango and ginger filled the air. 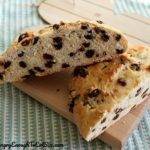 Bread puddings rely on a good rest before baking, so that the liquid has time to soak into all the bread cubes and the flavors have time to develop. After an overnight rest it was ready for the oven in the morning. I experimented with adding a crumble topping to this bread pudding, but the consensus here in this house is to leave it off. We have nothing against a good crumble but there are a lot of great flavors and textures in the final dish – and a crumble just wasn’t needed! 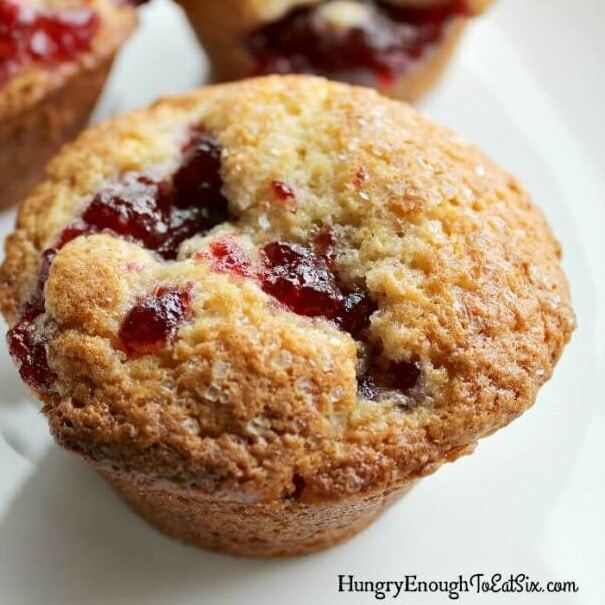 We were soooo happy with how this make-ahead breakfast treat turned out. It is nothing like the soggy image of bread pudding that I had previously held in my brain. Here the bread and egg-cream mixture meld together during the bake and take on a custardy texture that is delicious. 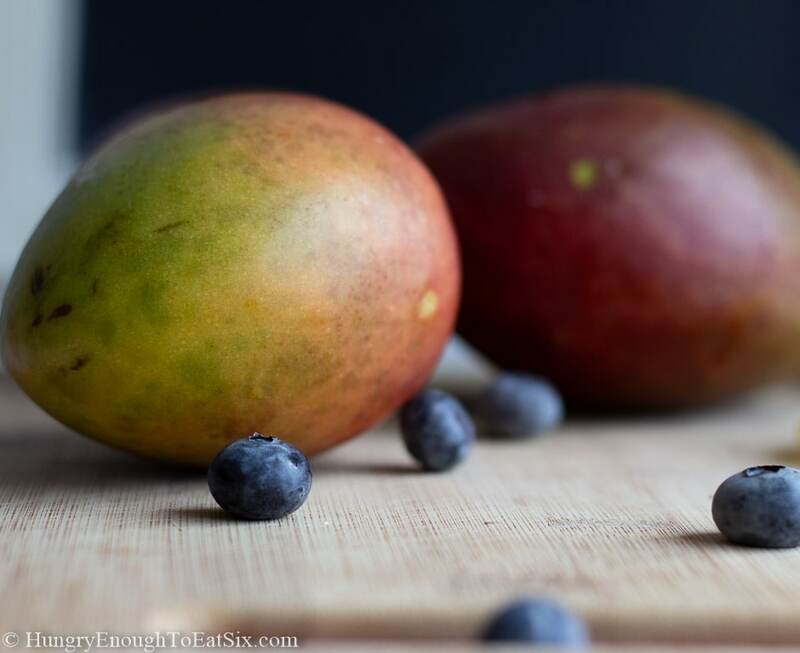 The cinnamon complements the juicy blueberries and mango, and there are pops of bright ginger flavor. And hey: this dish can easily be a make-ahead dessert, too! 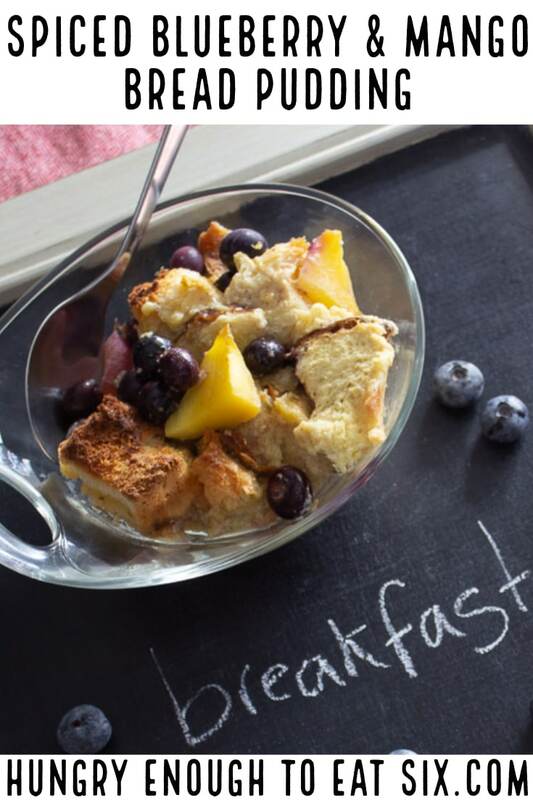 This is a lovely make-ahead breakfast, a creamy bread pudding with bursts of fresh mango and blueberries. 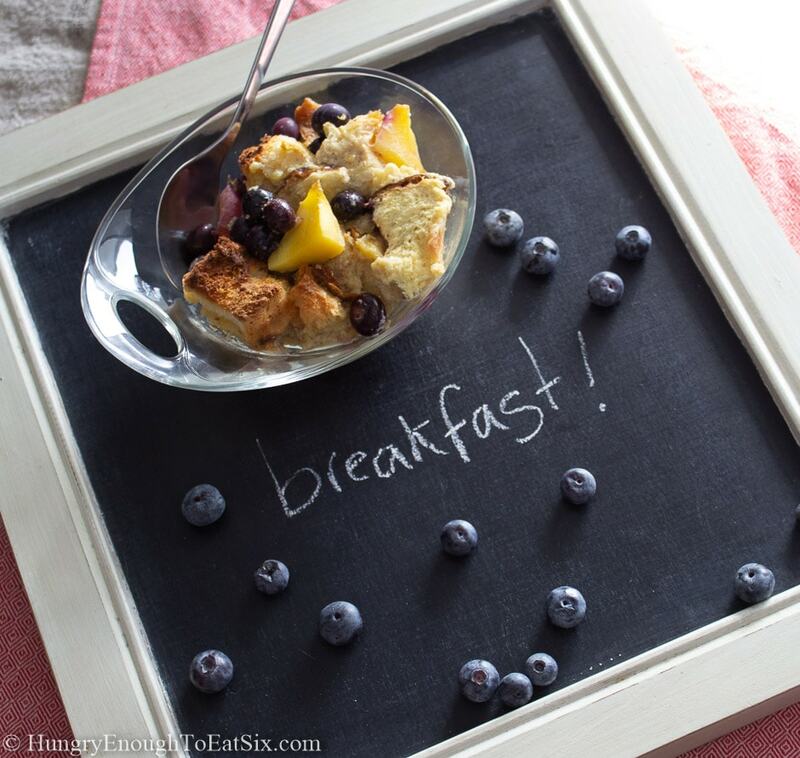 Assembled the night before, it’s perfect for the morning – or for dessert. Spray the bottom and sides of a 9″ x 13″ casserole pan with nonstick cooking spray, and hold the pan aside. 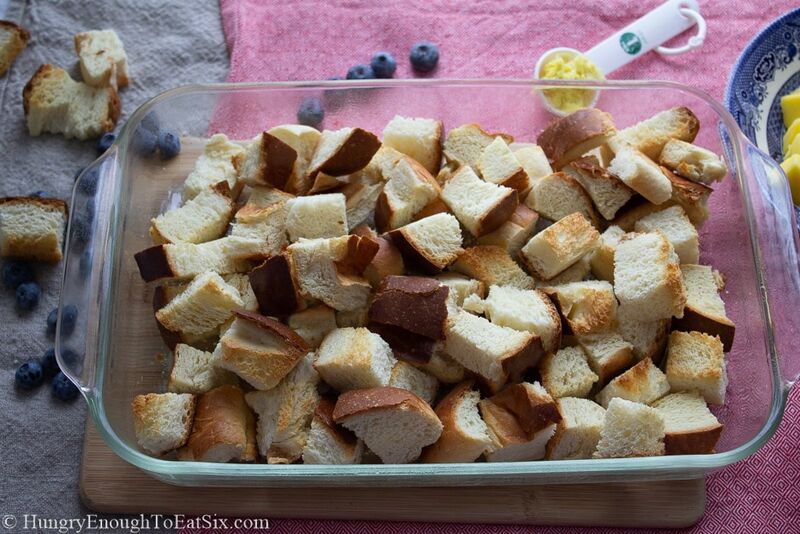 Preheat the oven to 350° F. Slice the sweet bread into chunks, roughly 1-1/2-inch cubes. Spread the bread chunks out on a large baking sheet. Toast them in the oven for 15 minutes or until they are lightly browned – do not over-brown them. Remove the bread cubes from the oven and give them a couple of minutes to cool down. Once the bread cubes have cooled a little, spread them across the bottom of the prepared pan. 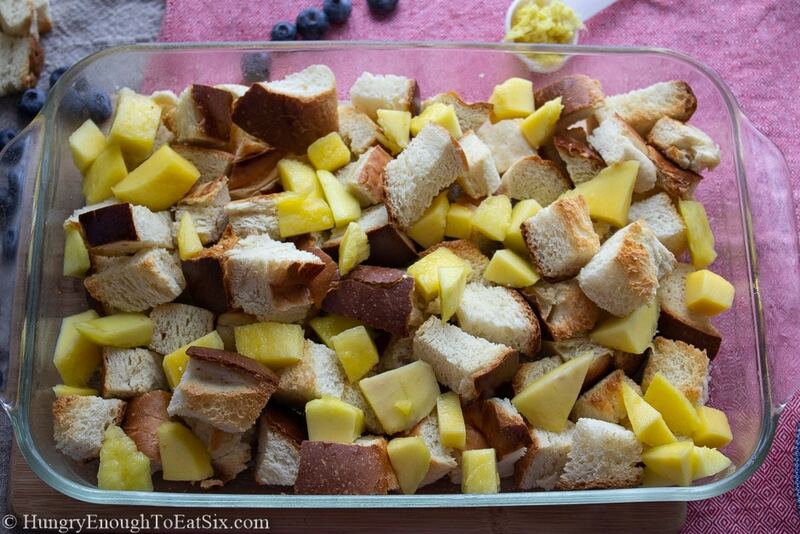 Add in the cut mango and the blueberries, spreading them evenly over and throughout the bread cubes. 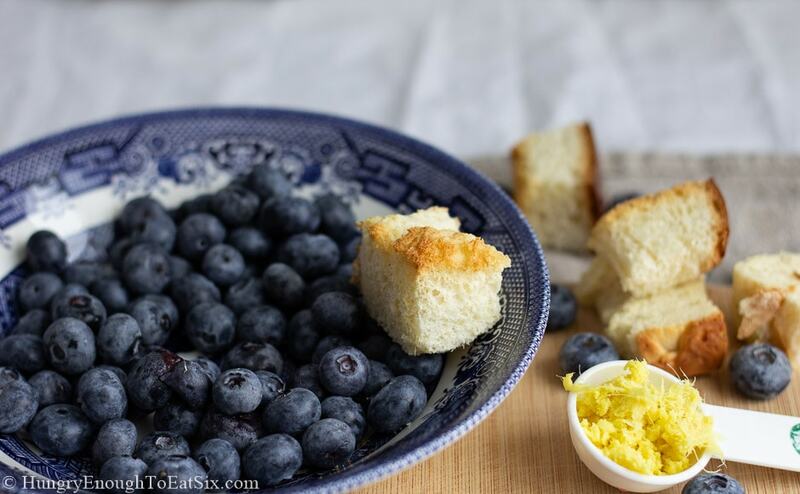 Add the ginger by sprinkling the grated flecks over the top of the bread and fruit, or by grating the piece of peeled ginger directly over the pan. Whisk together the eggs, sugar, vanilla extract, cinnamon, and salt in a large measuring cup with a pouring spout or in a large bowl. Add in the half & half and the milk and whisk everything together very thoroughly. 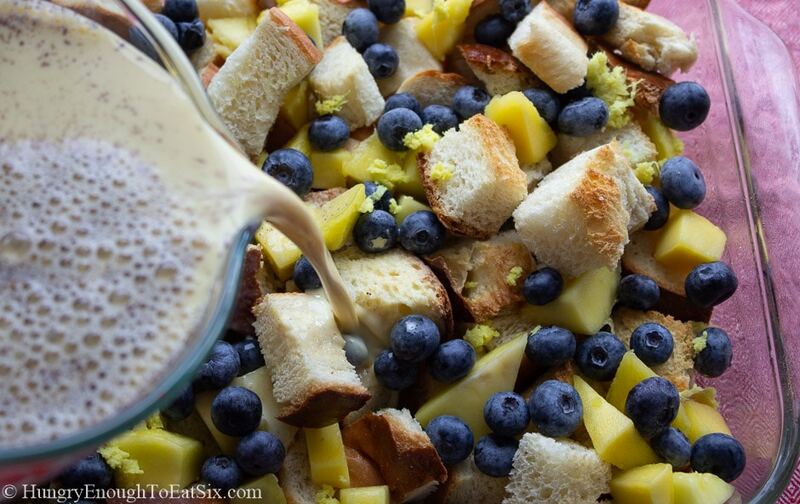 Pour this liquid over the bread and fruit in the pan, distributing it evenly over everything in the pan. Cover the whole pan tightly with plastic wrap and place the pan in the refrigerator. It should rest in the fridge for at least 8 hours or overnight. Preheat the oven to 350° F. Remove the plastic wrap and place the bread pudding in the oven on a rack positioned in the center. Bake the dish for about 50 minutes: the bread on the top should be nicely browned but not too dark, and there shouldn’t be any liquidy pockets left. Remove the pan to a cooling rack and let it rest for 10 minutes. 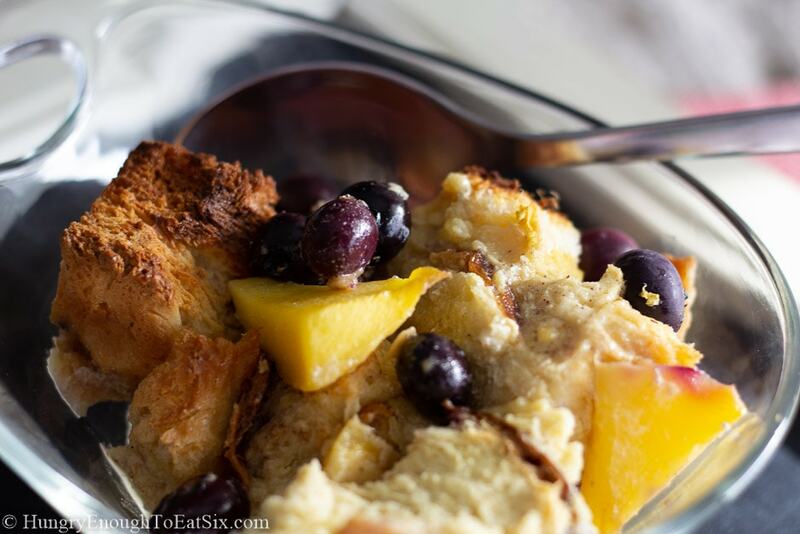 Spoon the bread pudding into serving dishes and enjoy it while it’s warm! 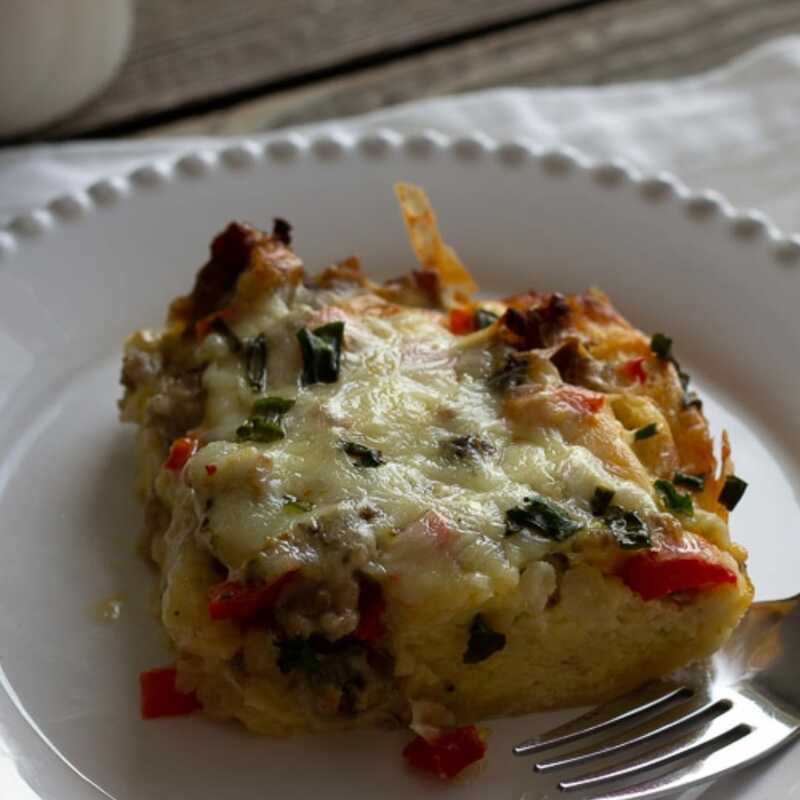 Leftover bread pudding can be wrapped and stored in the fridge for up to three days – you can rewarm it in the microwave or in the oven if you prefer. NOTE: If you need to use frozen blueberries, don’t add them to the pan until the next morning, or after the dish has rested the minimum time. 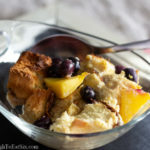 The reason is that the blueberries will thaw and release a lot of juice, which will turn your bread pudding very blue! 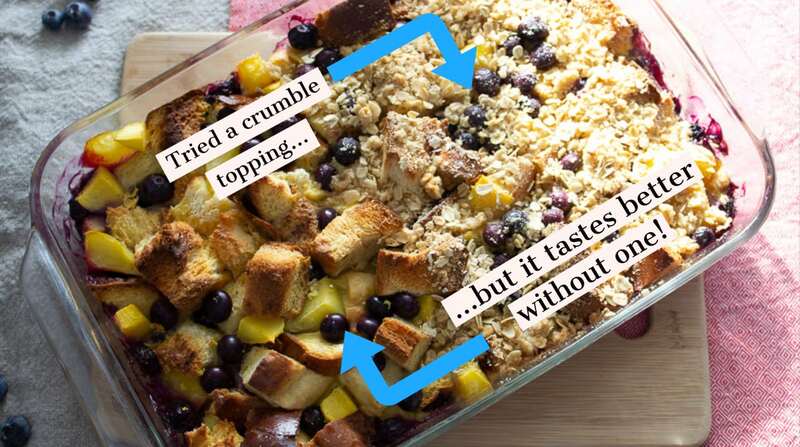 Just toss the frozen berries into the bread pudding right before baking instead. 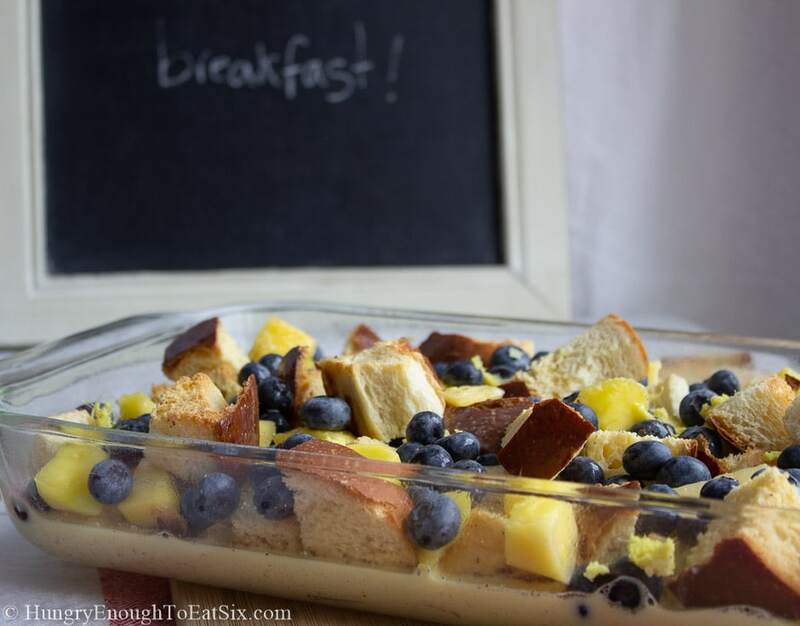 What do you think of this bread pudding? 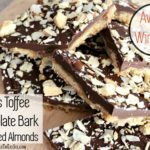 Please tap the stars to rate the recipe and leave a comment for me below!! Oh my gosh, I can’t believe you mentioned my French toast casserole! 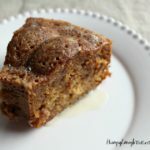 I love bread pudding and this recipe you created sounds delicious. I’m definitely pinning it. I also can’t wait to try your tip for peeling the mango. Well your FTC is famous so I had to mention it! 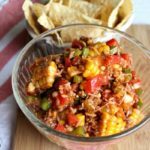 I hope you get to try this recipe, we really liked it!